Manufactured in Inconnu from 1998 until 0. This camera with very limited dimensions is a success of design and finish. It is equipped with a zoom from 24 to 48mm 4/7,6. 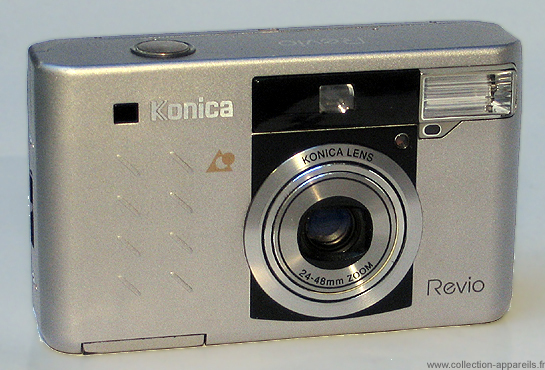 The autofocus provides the focus from 0.45m. The automatic exposure and the shutter speed fluctuate from 2s up to 1 / 500. Price of the camera in 1998: 1,490.00 francs.